About 20 percent of people living in the United States use herbal products, and ginkgo biloba rates among the top 10, according to a June 2008 review in the "Journal of General and Internal Medicine." Ginkgo is far from a new kid on the block. Traditional Chinese Medicine practitioners have used ginkgo for thousands of years. Evidence suggests ginkgo may positively influence blood pressure, but this doesn't necessarily mean that it can provide benefits if you've been diagnosed with high blood pressure. Discuss it with your doctor before taking herbs such as ginkgo. Ginkgo possesses properties that improve blood flow and reduce inflammation. In addition, ginkgo acts as an antioxidant, protecting your cells from damage. Today, ginkgo is perhaps best known for its potential to boost memory. It's used to treat a variety of blood-flow disorders, as well as mental decline in adults with dementia, reports the MaineHealth website. Modern research has focused on standardized ginkgo extract, which is highly concentrated. Normal blood pressure is less than 120 over 80 and hypertension, or high blood pressure is classified as 140 over 90 or higher. Close to 70 million Americans have hypertension, according to the Centers for Disease Control and Prevention. You're likely aware that having high blood pressure puts you at risk for heart disease and stroke. So it's understandable that you want to do everything in your power to get it under control. Diet and lifestyle changes such as increased exercise and quitting smoking help lower blood pressure. Doctors prescribe medication when diet and lifestyle changes aren't enough. Temporary stress is a natural part of life, but chronic stress can negatively impact your health, including your blood pressure. When you're under stress, a hormone called cortisol, will rise and this raises blood pressure. The good news is that ginkgo protects against stress-induced increases in blood pressure, according to a study in the September 2002 issue of the "Journal of Physiology and Pharmacology." This data suggests ginkgo positively influences blood pressure and may beneficially affect cortisol levels. 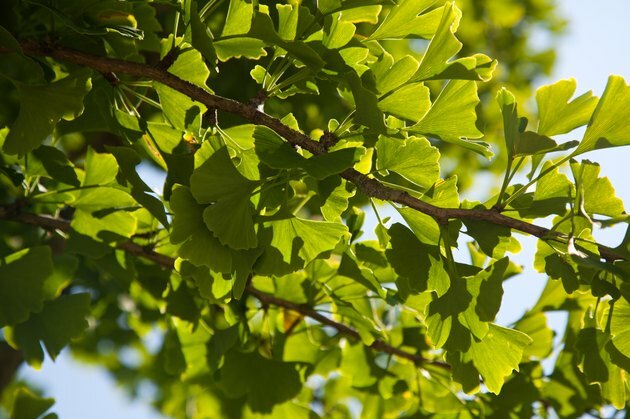 Animal studies have shown promise for the potential anti-hypertensive effects of ginkgo. In rats, ginkgo reduces the blood pressure increase caused by eating too much salt, according to a study published in the journal "Biological and Pharmaceutical Bulletin" February 2006 issue. Despite this, ginkgo failed to offer blood pressure-lowering benefits when studied in elderly men and women with high blood pressure, according to a study in the "American Journal of Hypertension" May 2010 edition.